Angry Birds Star Wars launched last November and quickly soared to the number one paid app in the US and Canadian App Store in just 2.5 hours, breaking company records. Click here to read our review of the game. The recently received an update last month to get 20 new levels and introduced a new character, Lando Bird. Previously, Apple has featured other Angry Birds titles as the free App of the Week, including: Angry Birds, Angry Birds Seasons, Angry Birds Space and Angry Birds Rio. This marks the first time Angry Birds Star Wars has ever gone free and is the fourth time an Angry Birds game has gone free this year. So in the future, if you really want to save 99 cents, just wait 6-7 months and the newest Angry Birds title could be free for you. 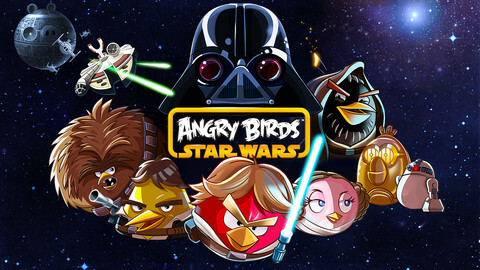 Click here to download Angry Birds Star Wars while it’s free. The HD iPad version is here. Let us know if you’re going to jump on this.